You’re going to love your life at Emerson! Inspired Senior Living in North Dallas! We’re fond of saying that every day at Emerson on Harvest Hill is like a reunion of good friends and family. It’s that approach to life that makes living in our community so special. So Relax — Enjoy a breakfast of delicious pastries, a made-to-order omelette, complimented by fresh stawberries, refreshing orange juice and your favorite cup of Joe. That's just the start of your day at Emerson on Harvest Hill. Then Relate — From dawn to dusk, there are ample opportunities to engage socially in our community. Our calendar of activities and events serve to enrich and encourage resident life throughout every day, week and month of the year. And Renew — Moving to Emerson revitalizes a zest for life! 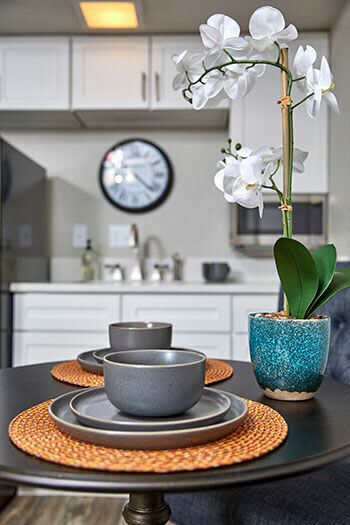 Surrounded by Emerson's amazing staff, our residents enjoy the feel of a close-knit neighborhood in the comfort and luxury of North Dallas' finest retirement community.